We offer the clients with high quality Mount Nimbark Sar that is prepared from quality ingredients thus ensure effective results. It contains Neem Leaves and Cow Urine etc. All the contents are boiled in a big copper container. After boiling and cooling it is distilled and packed into 1/2 & 1 liter bottles. The Mount Nimbark Sar is highly demanded across the globe for its qualitative features and has attracted the clients to place repeated orders. 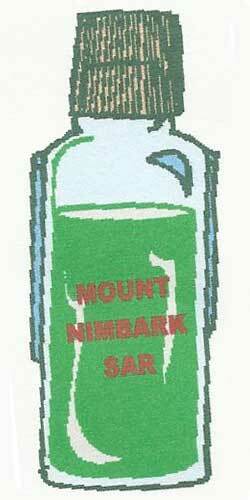 Mount Nimbark Sar is offered in the liquid form and properly packaged in order to avoid any leakage during transit.